Apollo Alnac comes with a visually appealing tread design. With the use of unique rubber mix it offers better grip on the surface and superior comfort to the occupants. Its broad contact area provides optimal pressure distribution that helps in uniform wear and longevity of the tyre. The wide shoulder blocks ensure stable ride quality at high speeds. One of the best tyres for passenger cars in the country, Apollo Alnac stands for performance, handling, and tyre mileage. The tyre is also known for reduced noise levels against many of its close rivals in the segment. Alnac is presented with mass-selling rim sizes of 13-inch, 14-inch and 15-inch. 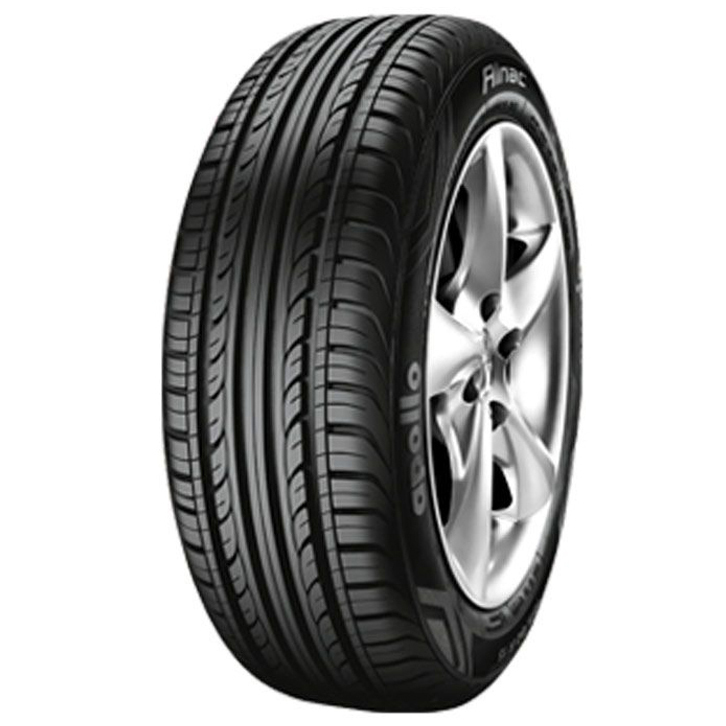 The 13-inch tyre comes in four variations, while the 14-inch and 15-inch tyre are offered in five and two variations respectively. The Apollo Alnac tyre is offered with a standard warranty of 5 years. The all-season tyre aims at better ride quality and comfort while riding. The tyre gets asymmetric tread pattern that helps in stable ride quality on long routes and at high speeds. The innovative rubber compound used in Alnac ensures a longer lifespan of tyre. Unique tread design offers comfortable ride experience to the occupants. The low rolling resistance of Alnac ascertains better fuel efficiency. Innovative compound ascertains quite ride throughout its life. Excellent grip under wet conditions due to circumferential grooves. Wide tread contact patch of Alnac provides superior dry grip on road. Apollo Alnac features as an OEM fitment in many leading car models in India. Alnac is made available in three rim sizes of 13-inch, 14-inch and 15-inch. The tyre covers industry best manufacturer warranty.